4k. DIY decor for Halloween. 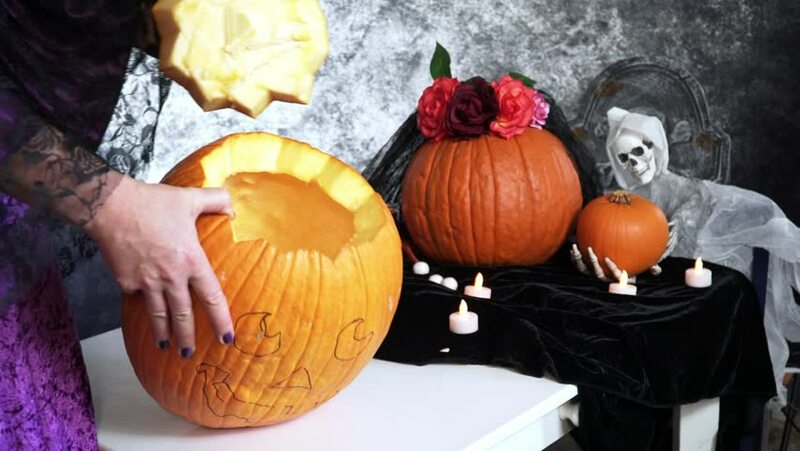 Woman in witch costume shows empty pumpkin as one of the steps to prepare it for carving. 4k00:434k. DIY decor for Halloween. Woman in witch costume is taking off seeds out of lantern pumpkin.